We welcome your interest in the Child and Adolescent Psychiatry Fellowship training program in the Department of Psychiatry at the University of Arkansas for Medical Sciences! Through our ACGME-approved, two-year training program, our goal is to produce excellent, educated, well-trained, professional physicians. Our program accepts three fellows per year. We support the development of each fellow through providing a solid clinical foundation and opportunities in academic teaching, research, and administration. The training program is affiliated with Arkansas Children’s Hospital (ACH), the Psychiatric Research Institute (PRI) at the University of Arkansas for Medical Sciences (UAMS), Arkansas State Hospital (ASH), and STRIVE, a school-based program in the North Little Rock School District. The Psychiatric Research Institute, one of only nine such institutes in the country, is a five-story, 100,000 square-foot space that houses clinical, administrative, research, and educational activities. The program’s most basic goal is to help the fellow achieve clinical competence in child and adolescent psychiatry. This is carried out under conditions that range from high supervision/low autonomy in the first year to increasing autonomy and less supervision in the second year. We have excellent clinical faculty who have been favorites among medical students. Our department recruits medical students into psychiatry at a rate much higher than the national average, and there is an emphasis on teaching in our fellowship that promotes an academic atmosphere that is collegial, supportive, and encourages the growth of each individual physician. In 2017, our fellowship was honored with recognition by the AACAP 100% Club, noting all six of our fellows are AACAP members. Dr. Srinivasa Gokarakonda, our current 2nd-year fellow, co-authored in a manuscript that was recently named the winner of the Southern Psychiatric Association’s 2018 Resident Research Award. 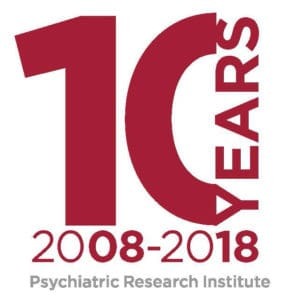 The manuscript, co-authored by PRI’s Jacob Boydstun, MD, Xiatong Han, Nihit Kumar, MD, Alison Oliveto, PhD, and Michael Mancino, MD, is entitled “Impact of STATE Anxiety on Retention and Phase Advancement in an Outpatient Buprenorphine Treatment Program.” Dr. Gokarakonda was invited to and recently presented the results of the team’s research at the Southern Psychiatric Association’s annual meeting in Nashville, TN on September 6, 2018. Child and adolescent didactic seminars are two to three hours; 48 weeks per year. Conferences are chaired by division and guest faculty. The schedule is planned for a two-year cycle, although revisions are made as circumstances warrant. Journal Club meets the second Wednesday of each month at Noon to present and discuss one or two recent/relevant articles. Quarterly, fellows and faculty participate in the Practice Improvement Conference. This is a quality improvement activity in which difficult cases are presented to trainees and faculty members, and discussion then ensues. In so doing, faculty and fellows alike learn from one another regarding the management of problematic issues. Additionally, Collaborative Office Rounds are held four times a year. These are presented collaboratively by fellows from multiple specialties, including child psychiatry, where complex cases are discussed. This conference is attended by faculty from Child Psychiatry, Development Pediatrics, and Psychology. The first year of training consists of three, four-month rotations at the Psychiatric Research Institute Child Diagnostic Unit, Arkansas State Hospital, and Arkansas Children’s Hospital consultation-liaison service. At the Child Diagnostic Unit, the fellow works with an interdisciplinary team including an attending child psychiatrist, psychologists, speech and language therapists, occupational therapists, social workers, a milieu manager, and nursing staff. The goal of this unique inpatient unit is to provide comprehensive diagnostic assessment to children with a wide range of psychiatric and neurodevelopmental difficulties. The training experience at the Arkansas State Hospital Adolescent Service is under the immediate supervision of a child psychiatrist faculty and consists of a combined rotation providing care to patients on both the acute service and the sexual offender treatment program service. The fellow on the consultation-liaison service responds to requests for psychiatric evaluation for patients at Arkansas Children’s Hospital – those on inpatient services and those being seen in the emergency room. This fellow also devotes part-time to the psychiatry outpatient clinic in order to see more urgent evaluations. The second year of training focuses on work in outpatient clinics and elective rotations. Clinics are longitudinal at both the Child Study Center located on the ACH campus and STRIVE in North Little Rock. The training emphasis in the clinics is on interviewing, diagnostic evaluation, and multimodal patient management. Fellows also receive training experiences in pediatric neurology, pediatric developmental disorders through the Dennis Developmental Center, and school consultation-liaison during the second year. Elective opportunities include experiences in LEND grant, teenage pregnancy, pediatric genetics, sleep and eating disorder clinics, family treatment program for victims of sexual abuse; as well as research programs. During this year residents are also encouraged to develop an area of special clinical or research interest. Past examples include working in an underserved community mental health center, identifying quality measures in psychotherapy, and review of psychotropic medication utilization in the State of Arkansas. Our program sponsors both H1 and J1 visas for fellowship trainees.